Getting stuck in a career rut is tough. You feel unmotivated; you don’t know where you are going. Yet you are somewhat comfortable where you are. You sense a need to be changing job or wanting a new challenge but things do not seem that broken that you needed it fixed. So, where do you go from here? Is there really anything you can do? Well, you can get unstuck in a career rut, from the typical cliché, you probably thought about it. To the inevitable – changing your job is listed below. If you are comfortable where you are, you are probably enjoying the comfort. But a part of you is guilty as you can sense a feeling of ‘irresponsibility’ by being comfortable. If the comfort is all you want, fine. The fact that you are feeling uncomfortable says that you likely want a change and want to move up. Stop giving yourself excuses then. One way to break away from this career rut is to get uncomfortable. Start to increase your own responsibilities. Ask for more to do and see how the passion comes seeping back again. Let’s face it. We all don’t want to do the tough job if given a choice. So we give ourselves excuses – see above – day in day out. This series of excuses actually creates for you a rut you cannot get out from. The faster you can get to the tough job you are supposed to do, the better. The things you don’t want to do but you know is good for you, is good for you. List down the things you NEED to do and get on with it. Go speak to someone who is responsible for your career about getting more responsibilities. Give yourself a new challenge that can help reignite your passion for your career. After all, you have felt that passion before. Across time, perhaps the fire has died down a little; all it needs is the gas of the new challenge to reignite it. What’s the toughest and sexiest project coming up in your company? Ask to do that. It may just be the answer for your career rut. Sometimes after a while in a company, you tend to build up certain reputation. For example, for a long time I was known as the bad tempered person even though I have changed. Each time, when promotion season comes up, inevitably some bosses will use that as a reason why I am not given the next promotion. Almost always I need to fight the case and to ask for example of when was the last temper outburst. You see, reputation can get ingrained even if though that has changed. Undo the reputation. It can be done just as I have. But you need to keep managing that perception until it diminish. We all change. You will change according to your priorities and life stages. The work you did before may not mean the same thing to you now. But that does not stop you from giving it a new meaning. What are the skills you have developed across the years? These skills and knowledge can be creatively molded into something interesting you can offer to the company. Perhaps even use it as an offering to the outside world as a unique business. This career rut maybe a trigger for you to leave your job. If you have tried some of these and it still does not work, dig deep inside and see if you truly enjoy your work anymore. Use the tip from above to reinvent, massage and juxtapose some of these skills you have and see if you have a new set of offering for the world. Getting unstuck in a career rut is just part of the process of growing up in your career life. Much like puberty and midlife crisis, it will take time to solve. And just like puberty, you will learn to be more mature and eventually, get out of this career rut. 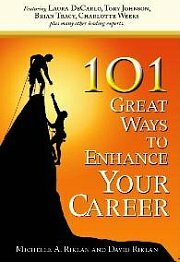 For more articles related to career rut, click here.